North Dakota State Library Talking Book offers an array of services for citizens of North Dakota who are unable to read standard print materials because of a visual, physical, or reading disability. The Talking Book program provides patrons with free access to audio books and magazines. 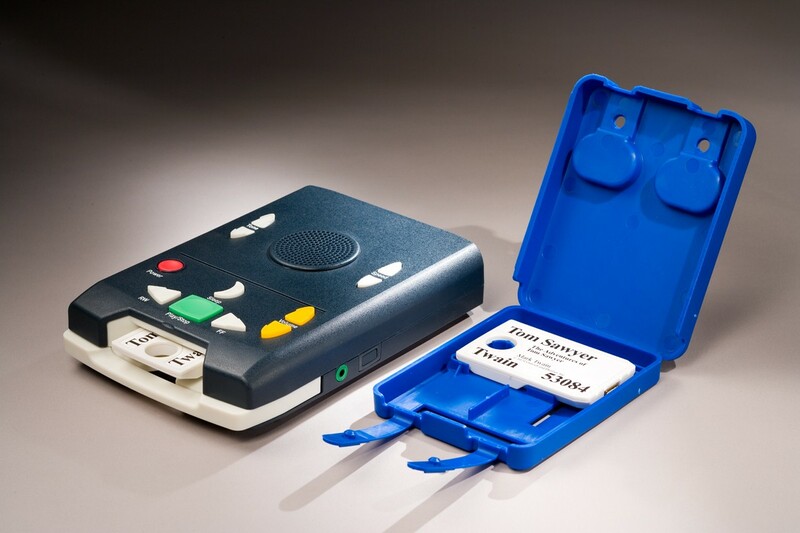 The Talking Book program is administered by the National Library Service for the Blind and Physically Handicapped (NLS), a division of the Library of Congress. Persons who are totally or legally blind. Persons with visual disabilities who are unable to read standard print clearly and comfortably for a reasonable length of time. Persons with physical disabilities who cannot hold a book, turn pages, or focus on printed material due to muscle or nerve deterioration, paralysis, or some other disabling condition. Persons with reading or learning disabilities certified by medical doctors (MD or OD) as having an organic dysfunction of sufficient severity to prevent reading printed material in a normal manner. Persons unable to read due to a temporary visual/physical disability (such as recuperation from surgery) for the duration of the disabling condition. If you would like to apply for the Talking Book program, please complete and print the Talking Book Service Application form, ask a certifying authority to complete and sign their section, and mail to the address on the top of the form. Duplication on Demand is a service in which multiple books are downloaded onto one cartridge, each cartridge is created especially for each patron. In order to access the multiple books on the cartridge, the patron will need to use the "Bookshelf Mode". Click on the link below to access the Bookshelf directions.